The high five clutch is a gorgeous handcrafted addition to your wardrobe. It features hand block printed cotton with a gold zip and genuine leather tag to add some sparkle and natural feel to your day or night. 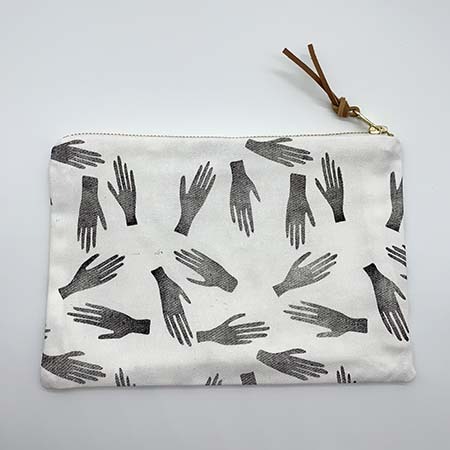 Notify me when High Five Clutch - White High five clutch is available.